What are your pickup and return time allowances? You can pick up on a Friday and return your costume on the following Tuesday. We are also flexible for out of town parties, conferences or overseas trips. Can I put costumes on hold? Yes you can. Book it with us by paying a deposit and your costume will be held for you for the date you need it – no-one else can hire it for that date. Your deposit will be deducted from the total to pay when you come to pick up. Do you deliver out of town? Yes we can take care of it and arrange a courier for you as long as we receive reasonable notice to tie in with our couriers. How do I know the costume will fit? We recommend trying your costume on first before a definite booking as once the costume has left our shop we do not refund. Some costumes are more flexible than others size-wise; we can advise you when you contact us. Let us know before coming in what you require and we can get some costumes sorted for you. Allow as much time as you can to try on and get the best fit and look. Let us work with you and have fun putting your costume together. Let us know what you can spend and we will advise if we can help. 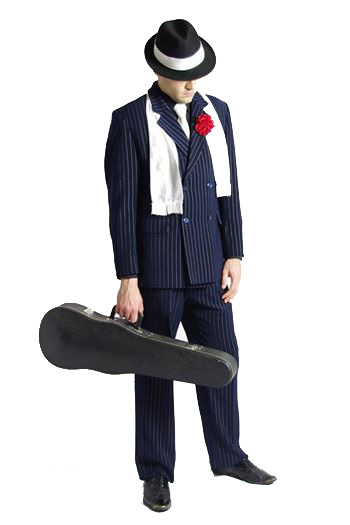 Some themes make it easy to just hire part of a costume, like a wig, waistcoat, shirt, dress or top.